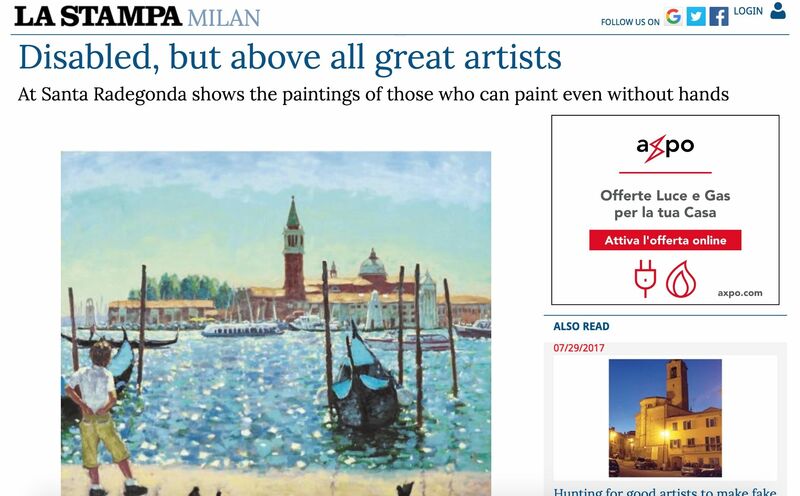 Keith has been featured nationally in the Italian press upon the opening of an exhibition at Santa Radegonda, Milan. 30 works produced by just 11 artists worldwide. AbilityArt has bought the selection together, they have 900 members across the globe.